Time and time again, VÉRITÉ asserts herself as a domineering creative force, a respectable critic on the industry, and even sometimes a carefree jokester – this conversation was no different. There’s no doubt that streaming platforms dominate the music market today. The way consumers interact with music differs widely from the vinyls of the ’70s, the CD’s of the ’90s, and even the iTunes downloads of the ’00s. Left and right, artists are being cornered, pressured, and prodded to embrace this shift and excel in this rapidly changing industry. Brooklyn independent artist VÉRITÉ – or Kelsey Byrne – is not only embracing this movement, she’s utilizing it to her advantage. VÉRITÉ’s somber electro-pop appeared in my Spotify Discover Weekly a few years back; her somber, yet electric vocals and energy hooked me immediately. 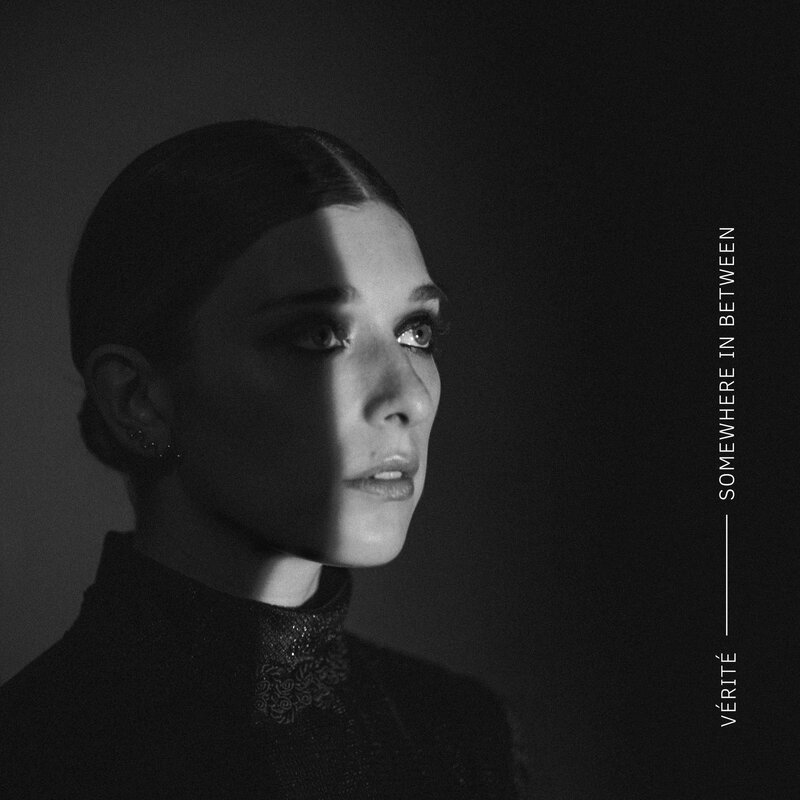 This month, we celebrate the first birthday of VÉRITÉ debut album, Somewhere in Between (released June 23, 2017) – an album swimming with exhilarating passion, breathless falsettos, and eccentricity. During our conversation, Kelsey exuded confidence, charisma, and expertise while still slipping in a few jokes here and there. Her creativity and wit reveal themselves during the first few minutes of the exchange, and Kelsey earned a special spot in my heart that day. 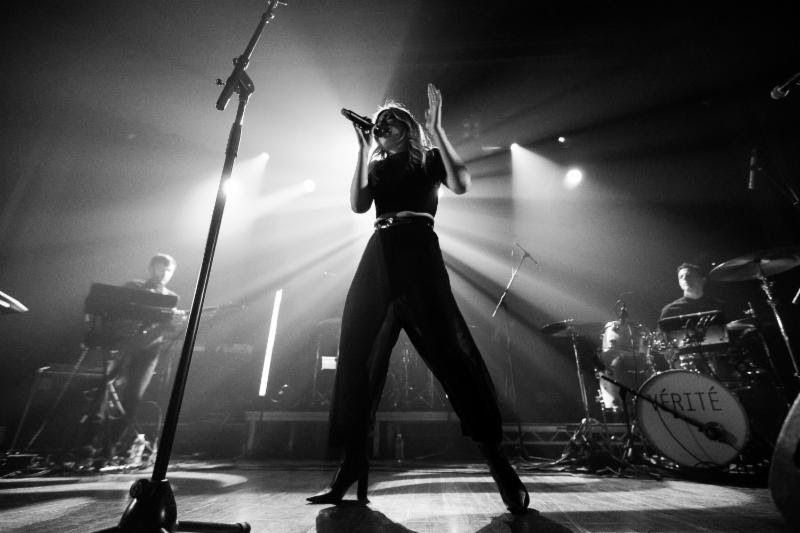 Dive deeper into VÉRITÉ’s music and artistry in our exclusive interview! Atwood Magazine: Hi Kelsey, how are you today? Kelsey Byrne: Great! It’s my day off and I’m home in New York. That's great! Well I've been a fan of yours for awhile, so I'm thrilled we get to chat today. I have questions about your tour, music, and the Guest Post that you wrote for Forbes awhile back. Does that sound good? One moment in particular that really caught me in the Forbes article was, 'I recognize the current state of the marketplace and choose to embrace its realities and use them to my advantage.' I liked your attitude surrounding this shift in the industry and how you treat it as a creative space instead of a roadblock. Has this reshaping of your view effected how you create music? 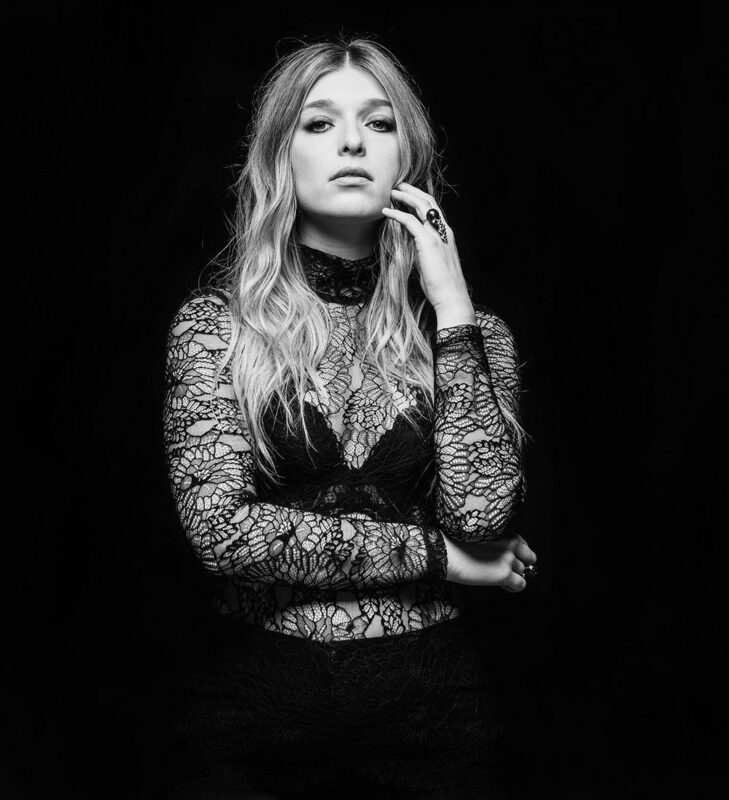 VÉRITÉ: I don’t think it’s necessarily effected how I create music, but it’s helped me realize that I want to release music more consistently – so I don’t want to drop 10 songs at once, but I’d rather release a song at a time because that’s how most people listen to music. Then in the end, those 10 songs may create a cohesive and conceptual album. You don’t want to lose your artistry and perspective, but I think it’s important to cater to what is actually happening. You definitely don’t want to waste material on people who aren’t going to listen to you. Yeah, definitely! I find that the streaming culture pushes against the traditional demand for cohesive albums, and pushes artists to create music more frequently - similar to what you were saying before. Are you still interested in creating an album? Or is it more attractive to you to create single works that may fit together in the end? VÉRITÉ: I’ve always written in fragments, but I think that you can do both – I do not believe they are mutually exclusive. You can write singularly, but still create a cohesive, powerful album. The words may flow out of you at different times, but it still all connects together because ultimately it's your experience. VÉRITÉ: Yeah and the artist just has to find the cohesive thread that runs through both. Totally. From listening to you and reading more about you, I get the feeling that you're a true creative at heart. Is it fun for you to create in the cross-sections of the industry as well, such as music videos, constructing a live show, etc? Has that ever posed a challenge for you? Haha! I understand that. Your most recent video 'Saint' was really interesting to watch and experience. Is there a story behind that work? VÉRITÉ: Yes, thank you! I love that video. I don’t necessarily do stories in my music videos, but I aim to create a really striking visual that pairs with the song well. I want to leave it all up for interpretation. VÉRITÉ: Haha yeah, I tried to show my face a little bit in this one. Haha! That's a big artistic decision these days it feels like. You're on tour right now aren't you? VÉRITÉ: Yes technically I am, but it’s my day off! VÉRITÉ: It’s great! I’m meeting a ton of new people and also getting to see some of my friends in various cities. So it’s been phenomenal. Sounds like fun. Were live shows a challenge for you at all? Or did you start with the live shows? I find sometimes the transition from recording to live shows can be hard sometimes for artists. VÉRITÉ: but I love it. Performing live is my favorite part of making music, so it was an easy transition in that sense. Aw, great. Are you going anywhere you haven't been before? VÉRITÉ: Oh yeah, I was in Milwaukee and Nashville. Many cities that I haven’t been before. That's so fun! Switching gears slightly here, but I have a question about your viral, explosive covers including The 1975's 'Somebody Else' and Sufjan Stevens' 'John My Beloved.' I really love your covers because it's not just you singing a song that you like, but it's you reshaping the song into something uniquely you. Does creating a cover differ from your normal songwriting process? Is there more of a spark of inspiration or no? VÉRITÉ: I feel like I make a cover of a song because I wish I had written it. So it’s a very similar process in the sense that you strip it back down, you re-arrange it, you re-harmonize it, and build it back up into this new creation. Then you pray that the original artist likes it. Haha! Oh yeah. Well that's awesome. Now for a few fun questions! If you could go anywhere in the world and have everything you needed to record music, where would you want to go? It can be as outlandish or as simple as you want it to be. VÉRITÉ: I would go ….. ugh I don’t know! I want to say Iceland, but it’s so cold. Well in this scenario you would have everything you need - the perfect temperature. VÉRITÉ: In that case, I’d go to Iceland and turn the temperature up. Since you're on tour, I'm sure you're listening to a ton of music. Is there any song that you listen to every time before you go on stage? Or a new artist that you've been really into? VÉRITÉ: We actually don’t listen to that much music while we’re on the road – we do watch a lot of The Office though haha! But I have been listening to the new Son Lux record on repeat. I love it. Very cool. Those are all of my questions for the day. Have an awesome day off!